Vineyards situation : The appellation can be produced in different villages : Brochon, Fixin, Premaux Prissey, Corgoloin and Comblanchien. 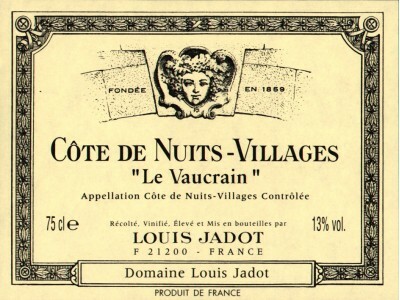 Characteristics : This vineyard of 3.5 hectares has been bought by maison Louis jadot in 1996. 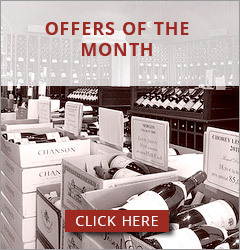 It is located in Comblnachien, next to the famous Nuits Saint Georges Premier Cru Clos de la Maréchale. Wine making : The alcoholic fermentation usually lasts 3 to 4 weeks. Aging takes place in French oak barrels during 10 to 12 months before bottling. are elegant. When it is young it has aromas of little red berries and liquorice. It matches very well red meat, grilled or roasted as well as cheese. In some tannic vintages it can even allow game. Preservation : This wine can easily be kept 5 to 7 years if the conditions of temperature and humidity are respected.